On Thursday, he appealed youngsters of the region to join the road to development while shunning the 'path of destruction'. Singh, in his message to the Valley's youth said, the Centre had decided to withdraw cases against those "misled into stone pelting". 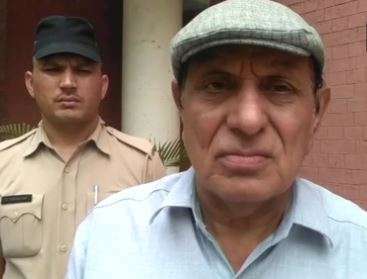 DP Vats, BJP Rajya Sabha MP in Bhiwani, Haryana said on Monday that stone-pelters should be "shot dead". "I read about the withdrawal of cases against stone-pelters but I think those pelting stones should be shot dead," Vats said, reported ANI. Union Home Minister Rajnath Singh met people living in border areas in Kupwara and Jammu, on Friday. "We believe that children anywhere are the same. We understand that some youth were misled into stone pelting...children can make mistakes... that is why we decided to withdraw the cases against those children who were involved in stone pelting," Rajnath Singh said. "I want to appeal to the youth that they should take the path of development... They should not go on the path of destruction," Rajnath Singh said at a sports function at the Sher-e-Kashmir Indoor Stadium in Srinagar. Highlighting that PM Modi is concerned about Kashmir, Rajnath Singh said it was the Centre's duty to provide a safe and secure future to the people of the region. He also showered praise on the Mehbooba Mufti government in the state for carrying out works for improving the sports infrastructure. "Funds will be provided for promotion of water sports at Mansar and Pahalgam... Funds will be arranged for development of sports infrastructure. With the help of the Jammu and Kashmir government, we will change the face and destiny of the state," Rajnath Singh said.